What books did you enjoy in 2017? 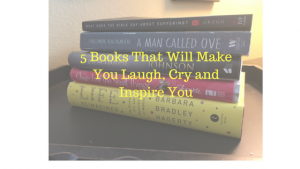 Here are five of my favorite books that I read last year. Not all of these books were published last year, some of them hav e been in my to be read pile and I just got around to reading them in 2017. I read different genres so on this list you will find both fiction and non-fiction. Maybe you will find a book you would like to read in 2018. I don’t know about you, but I always judge a book by it’s cover. I originally picked up Melanie Shankle’s book Church of the Small Things because of it’s cover, but I enjoyed it for more reasons than the cover. This book made me laugh out loud. Melanie has a way of writing that is easy to read and easy to relate to. Over and over I found myself laughing because I could relate to what she said. My favorite part of this book was chapter 13, To Exercise or Not to Exercise? That’s Not a Real Question. I thought this chapter was so funny that I read it out loud to my mom and sister. It is even funnier read out loud, so get some of your girlfriends together and read this chapter out loud. This book will make you laugh, but it will also help you appreciate the small things in your life. I don’t cry very often when reading a book. Watching a movie or hearing a great story and I can cry at the drop of a hat, but when reading I don’t often cry. While reading A Man Named Ove, I laughed and I cried. This book by Fredrik Bachman was one of my favorite fiction books last year. It is the story of a cranky, depressed man who rediscovers a reason to live. I loved the eccentric characters in this book who come alongside Ove and help him rediscover a purpose for living. The Swedish movie version of this book is out and Tom Hanks is going to make an American version, but remember the movie is never as good as the book. Several years ago I watched an E60 story on ESPN about the sports broadcaster Ernie Johnson. After seeing that special I thought he needed to write a book. In 2017 that book, Unscripted, was released. Ernie and his wife Cheryl have six children, four of whom are adopted and one of his sons has special needs. It is his relationship with that son and how he cares for him that caught my attention in the E60 special. In the book, Ernie talks about his career as a sports broadcaster, his relationship with his father, his relationship with his wife and children, and his battle with cancer. This book will inspire you to persevere even in those Unscripted moments in life. When I read this book my first thought was that every woman over the age of 40 needs to read this book. I picked up this book to for research about women and friendships in midlife. What I found was a book that brought insight to so many areas in my life. Life Reimagined: The Science, Art and Opportunity of Midlife by Barbara Bradley Hagerty was probably the most insightful book I read this year. In this book, Hagerty discusses happiness, purpose, friendship as well as memory and what happens to our brains in midlife. Hagerty approaches the topic of midlife like an investigative reporter and the research on Alzheimer’s disease is fascinating. I don’t read many books a second time, but I will read this book again. My recommendation still stands, if you are over the age of 40 you need to read this book. It doesn’t take long to look around this world and see a lot of suffering. Whether it is terrorism, a shooting in a small church in Texas, disease and cancer, broken relationships or mental illness, there is a lot of suffering in this world. What Does the Bible Say About Suffering by Brian Han Gregg was one of the most important books I read in 2017. In this book Gregg looks at 12 Biblical approaches to suffering. There is not a simple answer to the many questions we have about suffering and Gregg does not suggest a simple answer. Most of us have questions about suffering and this book goes a long way to answering those questions. This book is worth reading on your own, with a group or in a Bible class. I hope you find some time in 2018 to read some really good books and maybe this list will help you decide what to read. What books did you enjoy in 2017? How do you feel about New Year resolutions? Do you make them? Do you break them? Do you feel guilty because you don’t make them or because you make them and then break them? People make resolutions because they want something to be different in their life. It could be that they want to accomplish more in their job, or they want to improve themselves or improve a relationship. The reality is that most resolutions are broken long before they are ever achieved. January comes and we decide we want to do something different, but by February many of us have gone back to our old habits and life resumes with all of its busyness and our old habits return. Here are four suggestions for new habits to make this year. Practicing gratitude helps us gain perspective in our lives. Life has a way of feeling overwhelming and at times it is easy to start looking at what we don’t have, what we want. When we make gratitude a habit it helps us recalibrate our lives and remember all of the blessings in our lives. If you want to make gratitude a habit, start by listing three things everyday that you thankful for. As this becomes a habit, it will help you see the many ways God has blessed you. Another great habit to incorporate into your life this year is to spend time with God on a regular basis. Make it a priority to spend time with God through Bible study, prayer, or even silence this year. Some people spend their year by reading through the Bible. You may want to do that or you may want to read a devotional book or Bible study that leads you to God. No matter how old we are or how many years we have been studying the Bible, we can always learn something new about our God and what He desires for His people. I need to be more intentional in my prayer life this year and make prayer a priority. I also want my prayer time to include more silence and listening to God. In her book The Cultivated Life Susan Phillips says, “Through listening, relationship is cultivated and refreshment received.” If you want to grow your relationship with God this year make a habit of spending time in Bible study, prayer and in listening to Him. Another great habit to develop this year is the habit of serving others. This past year I helped begin a new ministry at my church that serves the homeless in our community. Serving the homeless has brought more joy into my life than anything I have done in a long time. Maybe you have a neighbor you need to serve or maybe you can volunteer in your community to serve the poor. I challenge you to make a habit of serving others this year. It is easy to get in our routines and not try new things. Making changes in our lives often means that we need to try something new. We are often hesitant to do new things because they make us uncomfortable and they challenge us to get out of our comfort zones. Maybe your new habit this year is to volunteer for a ministry that you have not been a part of before. Maybe its time to try something new by taking a college course or even getting a new job. Maybe you can read a new book or try an art class. Maybe it is time for you to go back to church and reconnect with godly people. Make this the year you try something new. If you want next year to be different start by making some new habits. 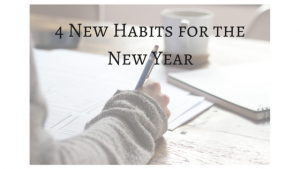 What new habits do you need to make this year? Mikayla, my 15 year old, told me about her friend who was shocked to find out that her mother buys all her own Christmas gifts from her husband and then acts surprised when she opens them on Christmas day. I find this hilarious. I am not surprised that someone would do it, I find it so funny that the teenager would be so shocked. Gift giving and receiving have always been very important to me. On my love language score receiving gifts is at the top. That is all good and great until you marry someone whose gift receiving love language is at the bottom. I have to say Kent has gotten better over the years because he knows it is important to me. 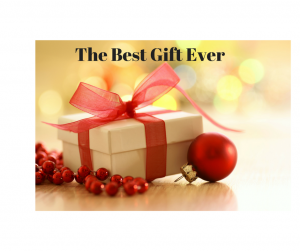 When gift receiving is important to you it is very easy to be disappointed at Christmas, or birthdays or anniversaries or any other time of the year. It is important for us to know we are loved and that is expressed through gifts and we find it frustrating when we don’t receive good gifts. For those of you who gift receiving is not important I know you are saying, “Just get over it and go buy your own gift.” And most of us do. When shopping for Christmas I often operate on the one for you and one for me principle. My daughter, another gift receiver person, operates the same way and I can’t blame her. I heard a statistic that said 27% of people buy gifts for themselves while out shopping for Christmas. All I have to say is, what’s wrong withthe other 73%? Most of them must be lying. So, what’s the point? The point is, for those of us who love to give and receive gifts (and even for those who don’t) it is important to remember the greatest gift ever given – a Savior, Jesus Christ. Isn’t that the point of Christmas, to remember that God gave us all His Son as the gift we needed the most? Jesus describes God as the Father who gives “good gifts” (Matthew 5:11). God the Father is the best gift giver ever. There is nothing that mankind needed more than a Savior, someone who took away our sins and restores our relationship with God, and God gave us that in His Son. What a great, awesome and perfect gift! So, as you are out shopping, whether you love it or hate it, remember that you have been given the most perfect gift, and it wasn’t your George Foreman grill, it is Jesus who came as a baby and died as a man for you and for me. What do you do during this time of year to help you remember this great gift? January of 2014 started off with a bang for me. 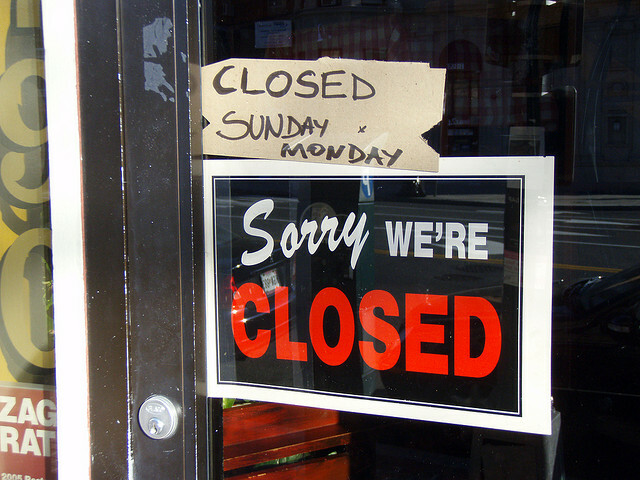 On January 11th, 2014 I received a call from my publisher and was told that they were closing their doors. 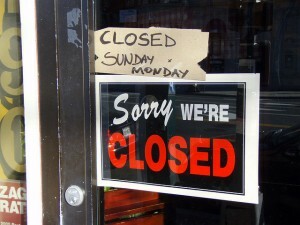 When the publisher closed their doors it meant that I would never receive the money they owed me in royalties. Since my three books are self-published, it also meant that the book they told me was at the printer and that I was scheduled to received within weeks, was never printed. I also had to figure out how to get the 3,000 copies of my two previous books that they held in storage. What a way to start a year! I felt like I spent the entire year, and am still, trying to dig out of the financial crisis that I faced. When we face crisis in our lives, often we look back and see what we learned. I learned that I need to trust God more than I trust anyone or anything else. More than trusting a publishing company, I need to trust God. More than trusting money, I need to trust God. I also learned to trust God more than I trust any person because people will let us down. It seems so obvious now, but why would I ever trust anyone more than I trusted God? If you had asked me before last January I would have never believed that I trusted anyone more than I trusted God. But when so much was taken away, I saw how my trust had been misplaced. There are three things that we can do to make sure that we keep our trust in God first in our lives. 2. Lean not on your own understanding. Why is it so difficult to trust God more than we trust anyone or anything? Maybe the answer lies in one of the more popular verses in the Bible. Proverbs 3:5-6 says, “Trust in the Lord with all your heart and lean not on your own understanding; in all your ways submit to him, and he will make your paths straight.” Maybe when life is going well, or even when it isn’t, we lean on our own understanding rather than trusting in God. 3. Look back and see how God has carried you through difficult times. Exodus 14:31 says, “And when the Israelites saw the mighty hand of the Lord displayed against the Egyptians, the people feared the Lord and put their trust in him and in Moses his servant.” When we see how God cares for us and how he loves us, it becomes much easier to trust him. What did you learn this past year? I love Exodus 14:15. It says, “Then The Lord said to Moses,’why are you crying out to me? Tell the Israelites to move on.” The Lord spoke these words to Moses when the Israelites were about to cross the Red Sea. They had escaped the Egyptians and were following Moses to the land God had promised. But as they ran from Egypt they faced a couple of problems. The Red Sea was in front of them and Pharaoh and his army were approaching from the rear. When the Israelites thought there was no way out they began to cry and complain to Moses. Moses must have felt some panic as well, but he assured the people the The Lord would fight for them. That is when God speaks the words that are recorded in Exodus 14:15. Today I begin a trip with three other women to minister to women in Ukraine and Vienna. We have prayed and planned for this trip for several months and the time has come for us to act. God is working in wonderful and mighty ways in Eastern Europe and we are going to join Him in that work. Over the next two weeks we will be posting on this blog the ways we see God working. I love books. Every room in my house has books. My bedroom and office have a lot of books in them. One of my favorite places to shop is Amazon. I buy books regularly and I also read books on my ipad. I read as research and as a part of my ministry. I also read as a hobby. I love to read fiction, non-fiction, and memoirs. I also love to read the Bible and I love to read Christian authors who help me better understand God and His word. My love of books also led me to write books. My life would be very different without books. Yesterday our ladies Bible class had the privilege of meeting Donna Mitchell who works with Women for Eastern European Mission. She told us about women and children in Eastern Europe who are starving for books. Part of the reason that Eastern European Missions has been so successful in Eastern Europe is because many of the people there are educated yet do not have access to books, especially the Bible. For years EEM has been giving Bibles to those people who treasure the Word of God because for years they did not have it. Many women in Eastern Europe are also desperate for Bible study material. I happen to know where they can get some Bible study material written specifically for women. Thanks to some great and very generous friends Changed by Jesus is self-published. What that means today is, Changed by Jesus is not owned by a publisher it is owned by me. Yesterday I was able to send the manuscript to EEM with the possibility of it being translated into Russian or another language that is spoken in that part of the world. I can’t tell you how excited I am that someday I may have the opportunity to place Changed by Jesus in the hands of women in Eastern Europe who so desperately need to hear the message that God loves them. God continues to bless this ministry in incredible ways! I am so blessed to have a front row seat and see how God is using me, and others, to reach women all over the world. Please pray that God will continue to open doors for His Word to reach women everywhere. I don’t think the apostles had trouble remembering Jesus. After all they had learned from Him, after what they had seen Him do, and after His death and resurrection how could they not remember Him? What about you? Do you have trouble remembering Him? With your busy schedule, and hectic life do you remember Jesus? What if we remembered Jesus’ compassion? He was moved to compassion and healed many people (Matthew 14:14), including a crippled woman (Luke 13:10-17), and a blind man (Luke 18:35-42). When we remember how He lived His life and understand that we are called to live like Him, we will be more compassionate and loving. When we understand what He gave up to come to this earth we will worship Him with awe, praise, and thankfulness. When we stop to remember Jesus’ life and sacrifice we will be changed. When life calls so loudly, do you remember Jesus? Years ago on Oprah they asked people what they could not live without. One lady said that she could not live without her George Foreman grill. I thought that was hilarious. I did not have a George Foreman grill at the time so I could not relate to her attachment to her grill. I now own one so I understand what she was talking about. I can think of a couple of things in my house that I would not want to live without – my Dyson vacuum cleaner and my Kitchen Aid stand mixer. If they broke today I would go out and replace them. If someone broke into my house and threatened to take my Dyson I would tell them they could take my children but not my vacuum cleaner! Not really, but I do love my Dyson. It made me think, what can I really not live without? I could replace mixers and vacuum cleaners, but relationships are priceless. I would not take anything for my relationship with my husband and children. My relationship with my family is something I value highly. Relationships with friends are also something that I treasure. More important than our relationships with family and friends, is our relationship with our God. Psalm 73:28 says, “But as for me, it is good to be near God.” We serve a God who desires a relationship with His people. He is a God who invites His people to come to Him. James 4:8 says, “Come near to God and He will come near to you.” What a great promise! Because of the blood of Jesus we are able to approach God and have a relationship with Him. Psalm 84:2 says, “My soul yearns, even faints, for the courts of the Lord; my heart and my flesh cry out for the living God.” Do you feel that way? Is your relationship with God something you value enough to give up other things to pursue it? Will you give up time to spend with Him? Will you pursue a relationship with God above all things? Are you willing to place your relationship with God above every other relationship in your life? How much do you value your relationship with God?